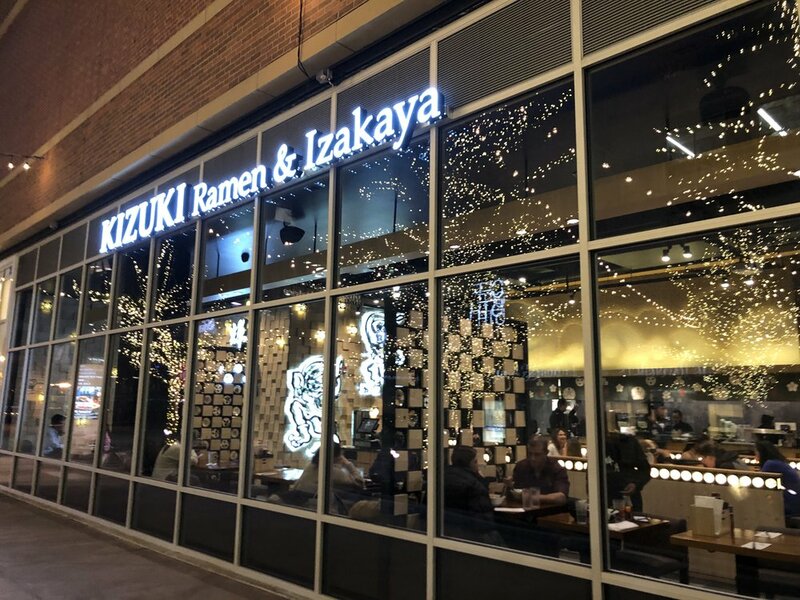 To all the Kizuki fans in Chicago, Kizuki Ramen & Izakaya has finally opened its second Chicago location inside the NEWCITY Shopping Center in Lincoln Park. Kizuki is a Japanese chain restaurant with locations all across the U.S., Japan, and Taiwan. When its first Chicago location in Wicker Park became a hit, Kizuki announced its second restaurant opening back in July 2016. The wait ended in January 2019 when doors finally opened to customers. Located directly across from Saks Fifth Avenue and ArcLight Cinemas, Kizuki Ramen & Izakaya offers the perfect dining experience during an evening of luxury shopping and a movie. The trendy venue serves authentic Japanese noodles and small dishes, and offers a bar with hand-picked Japanese craft beer. Though on the smaller side, the cozy space is well lit with hand-painted paper lanterns lining the walls and offers a modern take on the traditionally intimate Japanese dining setting through semi-walled seating. 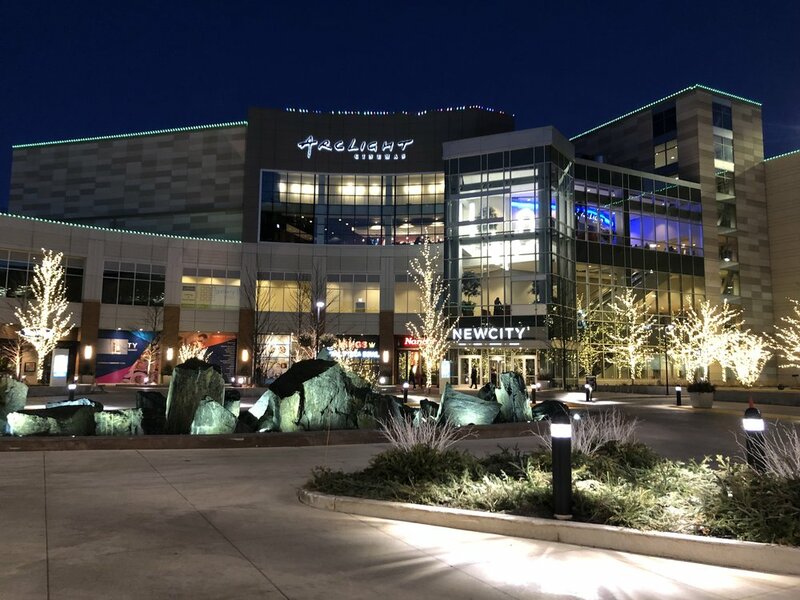 A hip blend of upscale decor, western and Japanese pop, and classic dishes, the family-friendly atmosphere finds a comfortable balance between luxury and affordability, as well as Western and Eastern influences. Aside from the atmosphere, Kizuki also creates a unique dichotomy between modernism and traditionalism in their dishes. 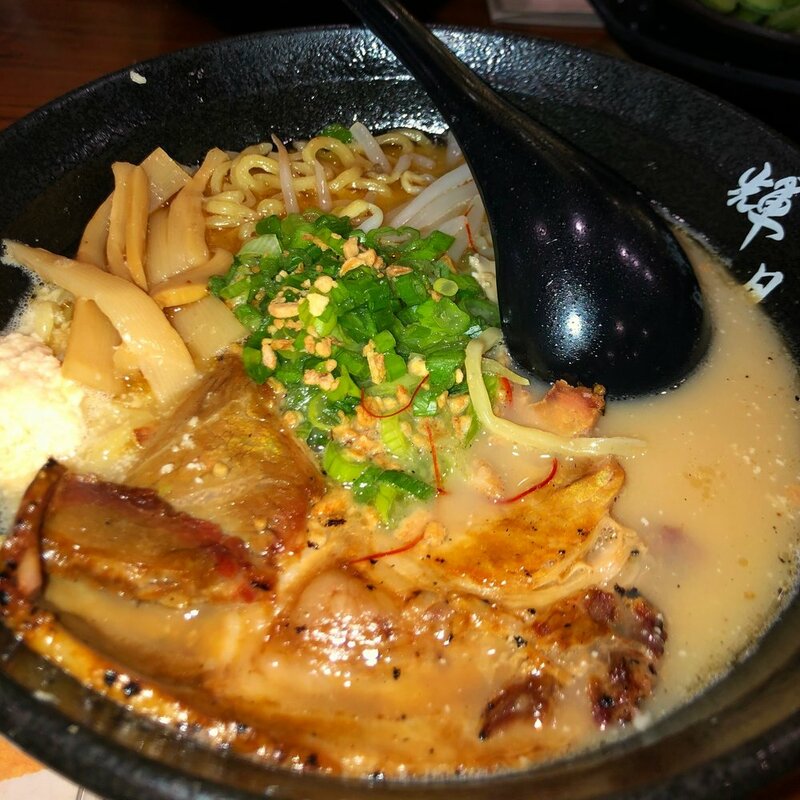 The varied menu includes classic dishes, like the Shoyu or Tonkotsu Ramen if you’re looking for that classic savory noodle broth. Or, if you’re craving something lighter, you can try one of their creative fusions, such as the Yuzu Shio Ramen, for a clean citrus flavor. More than just a noodle bar, Kizuki also offers an array of rice Don bowls, appetizers, and topping choices. Upon my first visit, I decided to order the Garlic Tonkotsu Shoyu Ramen, which promised an “extra rich” shoyu flavored pork broth. The broth affords a savory, garlic kick as promised, and the noodles are the perfect texture of chewy and elastic. 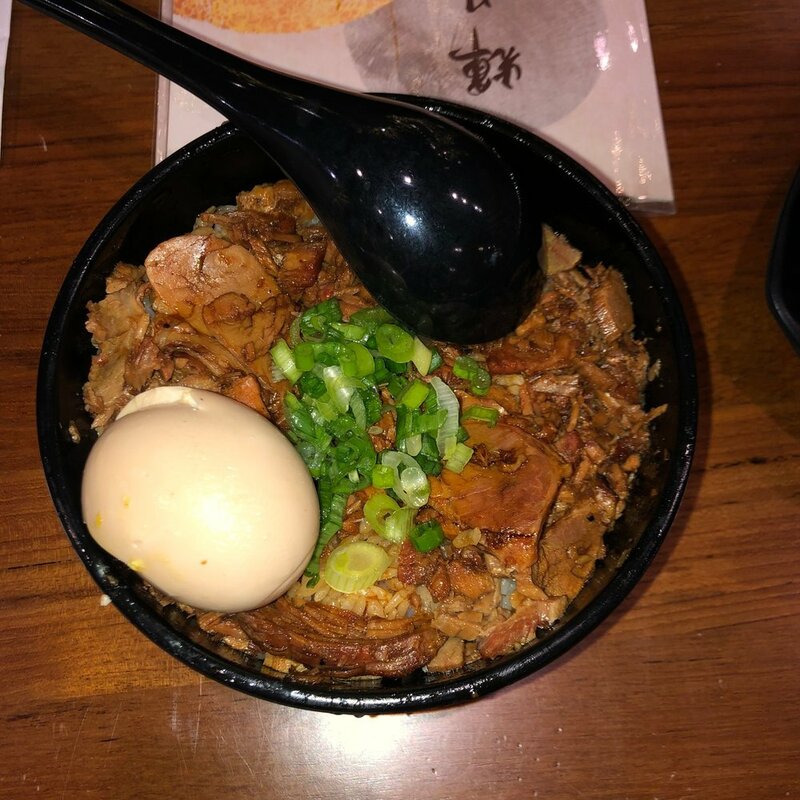 The portion sizes are thankfully not on the stingy side and come with generous slices of chashu pork, a whole soft-boiled egg, and a handful of various toppings, such as crunchy menma, fresh green onions, and crispy fried onion flakes. The best part, in my opinion, was the molten egg, executed to soft-boiled perfection, which, when cut into, complements the wavy noodles with thick coat of yolky, golden goodness. If you’re looking for some side dishes to cleanse your palette, I would suggest ordering the edamame for a simple salty snack (complementary if you like their Facebook page!) and the Japanese style pork buns to satisfy a meat-lover’s cravings. To top it off, we finished with the mochi dumplings and Japanese style ice-cream & waffles for dessert. 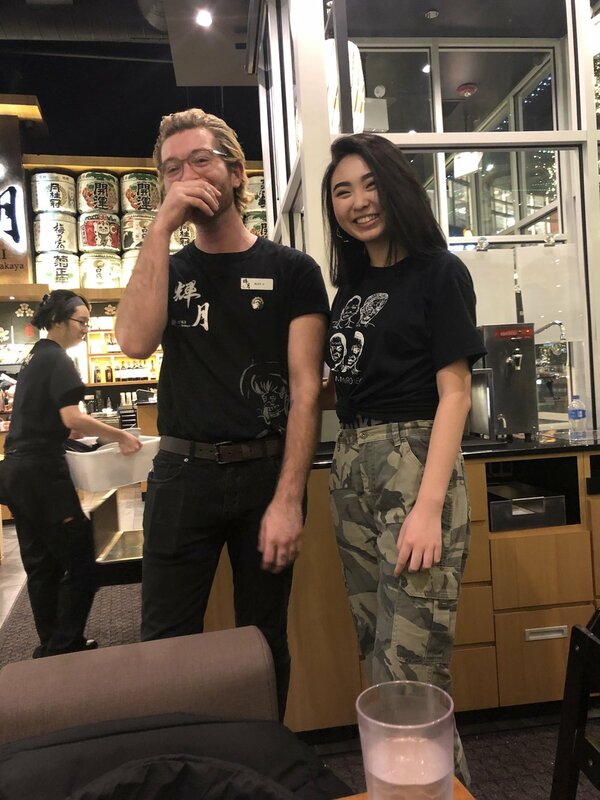 When confronted with the dilemma of choosing between matcha and vanilla ice cream, the staff was kind enough to give us a portion of each flavor for the price of one (shoutout to my man Alex!). The mochi dumplings were coated in a mysterious sweet and salty caramel sauce that balanced out my sweet tooth, although I must say the name is slightly deceiving. I was expecting mochi “dumplings” with some kind of filling, but was disillusioned to find that there was nothing inside upon taking a bite. In addition to the mouth-watering food, the amazing staff will cater to your needs with genuine pleasure and a candid humor that contributes to the enjoyable and entertaining dining experience. They are quick to your service and deliver your requests with a personal conviction to the kitchen staff to ensure that you leave full and happy. Our kind server Alex went out of his way to bend the rules for us, from splitting the check beyond the limit of two cards to telling the kitchen to give us extra dessert portions so we could try the multiple ice cream flavors. Overall, Kizuki Ramen & Izakaya stands out to me as a favorite spot for Japanese comfort food at an affordable price. The new location opens a door to authentic, downtown Chicago Asian cuisine and will hopefully lead to more diverse restaurants opening in nearby locations. Server Alex and I. Go leave him an amazing tip!